God is greater than our ability to understand. I first realized this as a child in Catholic school, when my classmates and I were given the assignment to draw God. After much deliberation, I drew a gray-bearded man in a robe hovering in the sky. I wasn’t happy with the drawing (and it wasn’t because my rendition of God’s bare feet looked weirdly elongated and flat). It was because, even at the time, I was aware that my drawing wasn’t right. God wasn’t an old graybeard in the sky; God was a Being I couldn’t pin down in pictures or words. God was greater than anything I could put on paper. God’s ability to forgive is greater than our ability to forgive. This is hard to accept sometimes. If you’ve ever asked for forgiveness and still felt guilty—as I have—it may be because on some level, we struggle to understand how God would forgive the thing that we ourselves never would. We reduce God to our own human size, with our own pet grudges and inability to let go. But God is always greater . . . and we are always forgiven. God’s love is greater than our love. It occurred to me a while ago that we humans probably lowball God’s love for us. We take the person who loves us most—a parent, a spouse, a friend—and think, That’s how God loves me. Though that’s helpful, it’s not enough. God is love, after all. What God feels has to be far beyond anything our human hearts—even when they are at their most pure, open, and true—can possibly feel. Our wonderful minds are capable of many things, but they can’t stretch to comprehend the immensity of Who God is and what God does. And while that may seem frustrating to those of us who like having all the answers, there’s also a certain freedom in the mystery. We don’t have to have it all figured out, because we can’t. 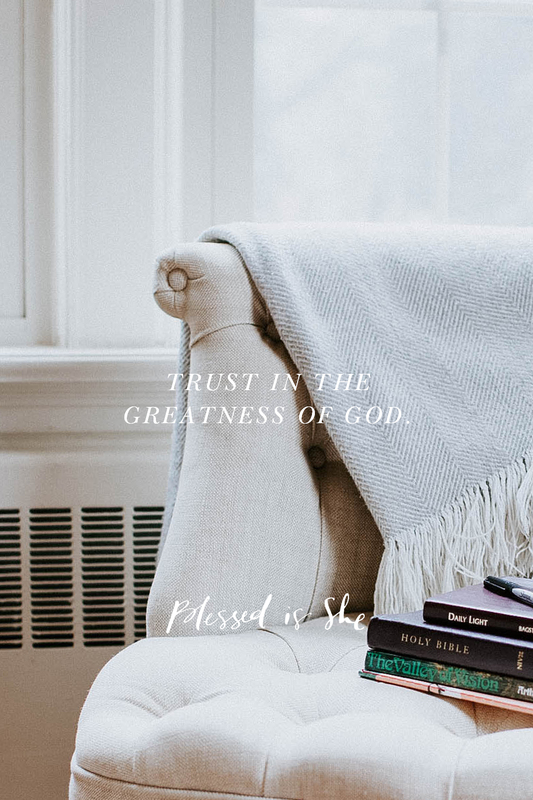 We just have to trust in the greatness of God, and let ourselves be loved. We just have to trust in the greatness of God. Where in your life would it help to remember the greatness of God? Next Post What's the Deal With Mary?